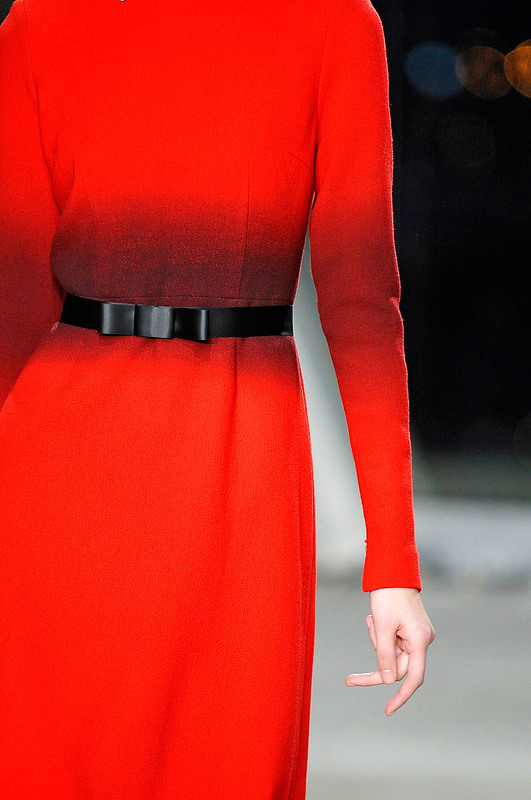 After a delightfully bright Spring, Jonathan Saunders has shifted to sharply tailored sophistication for Fall 2012. The crispness to it feels particularly on point for autumn. I find Jonathan Saunders to be rather refreshing; he takes structured utilitarianism and transforms every day staples into bold standouts. [And it is brilliant that he has just won the BFC award. It is much deserved.] Geometric sixties patterns and tie-silk jacquards are uniquely rendered onto well-structured pieces and paired in intriguing combinations. 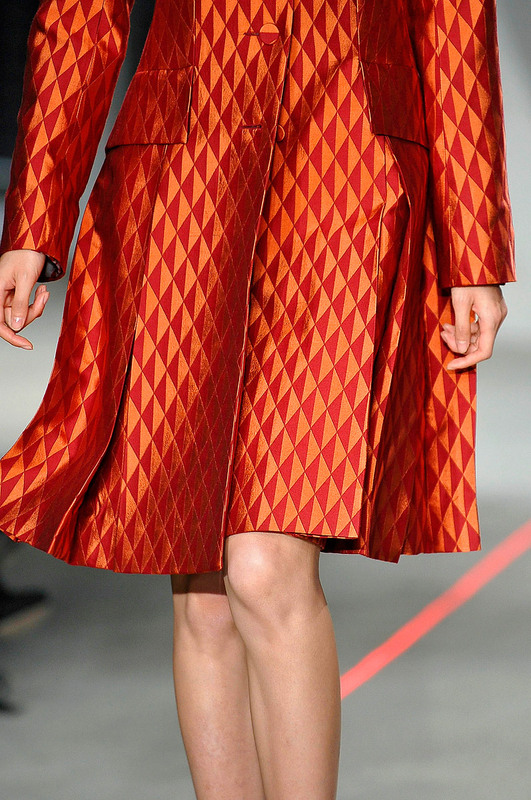 Jonathan Saunders has always had a strong sense for color and print; he has a rather brilliant eye for it. While Spring 2012’s ethereal display felt lit from within, the deeper undertones to this collection are equally as lush. There is something special about Jonathan Saunders’ designs, something charismatic and almost intangible about it. This could be due to his beautifully vibrant color palette or perhaps the well-crafted structure. Or it could just be that Jonathan Saunders has figured out exactly what women want to wear without any fanfare or overly wrought inspiration. There is no particular persona to invest in or archetype that it subverts. Instead, this collection showcases wonderfully constructed looks that enable one to feel put together without feeling ordinary–something to seamlessly transition throughout the day, all the while exuding an understated glamour and quiet dignity. I love the quiet strength to his collection. It is charming, put together, and intriguing all in one. Normally, I am a little thrown by collections without an overt inspiration. But not this one. Without anything to distract me, I can just focus on wonderfully crafted clothes. Simple as that. It is a rare pleasure to just quietly admire a collection for the beautiful clothes alone. fall 2012 is very amazing and any beauty style. . .